Last month, Messa in Latino posted this superb interview with Msgr. Luigi Negri, Bishop of the Diocese of San Marino - Montefeltro, a small diocese of 63,000 Catholics. Msgr. Negri, who is considered as one of Italy's most tradition-friendly and orthodox bishops, publicly thanked Pope Benedict XVI for issuing Summorum Pontificum in 2007. We should have included them in our blogroll for some time, but it is never too late to acknowledge one of the bravest blogs we know: Germinans Germinabit, whose members try to breathe some pneuma in the life of the Church in Barcelona and in many local Churches of the ancient Crown of Aragon. Benedict XVI: "We are still far from that unity for which Christ prayed"
We must be grateful because in recent decades the ecumenical movement, “fostered by the grace of the Holy Spirit” (Unitatis Redintegratio, n. 1), has taken significant steps forward, which have made it possible to reach an encouraging convergence and consensus on various points, developing relations of esteem and reciprocal respect between the Churches and the ecclesial Communities, as well as practical collaboration in facing the challenges of the contemporary world. Cardinal Piacenza on the "Eucharistic Nature" of Priestly Celibacy. 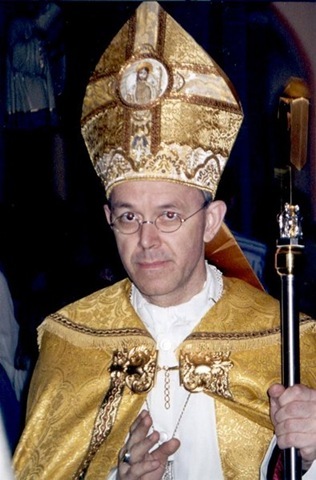 ZENIT has published a translation of a long and detailed address by Mauro Cardinal Piacenza, the recently-appointed Prefect of the Congregation for the Clergy, regarding the theological underpinnings of clerical celibacy and the teachings of the Popes from Pius XI to Benedict XVI on the matter. It is one of the strongest affirmations in recent years of the theological necessity for priests to be celibate. Interestingly, the Cardinal speaks of the pronouncements of the Council of Elvira and the Second Council of Carthage regarding celibacy as "dogmatic pronouncements". He also specifically denounces the idea that celibacy is merely "ecclesiastical law", explaining that celibacy is "an intrinsic demand of the priesthood and of the configuration to Christ that the sacrament determines." It is common for the Eastern Orthodox to claim that they uphold the use of the vernacular in liturgical offices. However, the reality is more complex. Greek Divine Liturgies, for instance, continue to be sung in the now-archaic Greek of the Septuagint and the New Testament -- which, it is often said, is hardly understood by younger Greeks -- rather than in the modern Greek vernacular ("Dimotiki" or Demotic Greek). In Slavic countries, the great majority of "canonical" Eastern Orthodox (and some Greek Catholic) Divine Liturgies continue to be sung in Church Slavonic rather than in the different vernaculars of those countries. Not that this is a problem for tradition-minded Roman Catholics! According to sources close to the Canons Regular of the New Jerusalem (CRNJ), "Bishop Bransfield has given permission to the Canons to reside in Charles Town, WV, for a probationary period of two years. More details will follow. "In thanksgiving for this great gift from God, and in appreciation for all the support from the faithful, Dom Daniel will celebrate a Mass tomorrow, Saturday, January 29, 2011, at 9:00 am, at the Old St. James. (311 S. George St., Charles Town, WV). All are encouraged to attend." 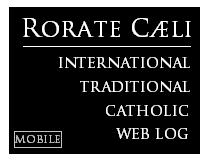 Please remember to follow @RorateCaeli on Twitter. A short essay by Mosebach on the Confiteor was also made available by the Society of St. Hugh of Cluny. 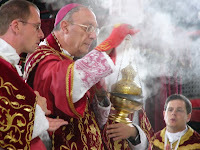 From the website of Saint Agnes Church (FSSP) in Amsterdam (tip and link: Mysterium Fidei), we learn that two Pontifical Masses will be celebrated there this year: on April 10 (Passion Sunday), a Pontifical Mass will be celebrated by the Bishop of Copenhagen, Czeslaw Kozon; and on September 17, a Pontifical Mass will be celebrated by Cardinal Burke, celebrating the 5th anniversary of the FSSP apostolate at that church. The Netherlands, a land that seemed lost to Traditional Catholicism just a few years ago, finds back some of the great devotion that characterized that country until the Council. Below, please find the seventeenth posting of enrolled souls of the Rorate Caeli Purgatorial Society. It is interesting to see where the names are coming from and how far the reach of the Society has become. Word must be spreading in Indonesia, as many of our names are pouring in from that country, from multiple sources. Dear brothers and sisters, with her luminous testimony, St. Joan of Arc invites us to a lofty level of Christian life: to make prayer the guiding thread of our days; to have full confidence in fulfilling the will of God, whatever it is; to live in charity without favoritisms, without limits and having, as she had, in the love of Jesus, a profound love for the Church. get away with ignoring the motu proprio? The Moors were much, much, kinder to the Traditional Mass than the Portuguese Bishops of today. 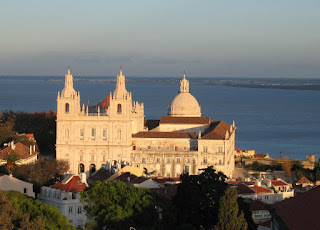 In the whole of Portugal there is today just one regular Mass in the Extraordinary Form, according to the Motu Proprio: as Our Lady would have it, it is in her town of Fatima, in the diocese of Leiria-Fatima. This does not make the position of the Archbishop of Lisbon, the Cardinal-Patriarch, less untenable and absurd: we have been told, and have been able to confirm independently, that nuns in a small convent in the Rato neighborhood of the Portuguese Capital (we have been asked to refrain from naming them), were able to get a priest to celebrate the Traditional Mass for them in the first months of the Motu Proprio - until the Cardinal-Patriarch went personally to their house to demand that it be stopped. It seems that the Cardinal-Patriarch considers that one Novus Ordo Mass in Latin celebrated every Sunday in a church in the central area of his city is good enough for his conscience. The scandal remains: in the long list of Western European capitals, Lisbon has "pride of place" - not a single diocesan Traditional Mass. 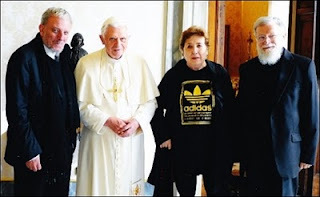 Until when will Rome allow the Portuguese Bishops, in particular the Patriarch of Lisbon, to mock the attempt of the Holy Father to improve the liturgical life of the Church? Some Portuguese men and women are trying to do more to revert this calamitous and scandalous situation; we ask all our readers to support the work of the recently-founded Una Voce Portugal. [Link sent by a reader; based on reader's report.] We will keep following this situation. The Latin Mass Society has announced its seventh residential conference for priests who wish to learn the Extraordinary Form of Mass. 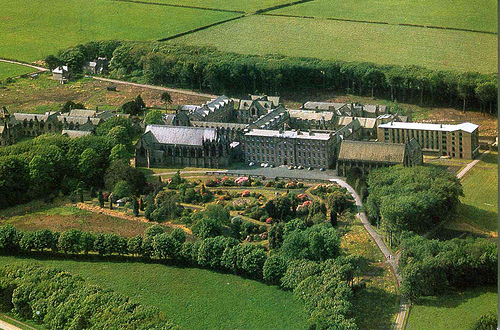 The conference will take place at Buckfast Abbey, Buckfastleigh, Devon from Tuesday 3rd to Friday 6th May. Tuition will be given in small groups selected according to ability, and will cover Low Mass, Missa Cantata and Missa Solemnis. It is also hoped to provide tuition in the sacraments of baptism and marriage. Only rudimentary Latin is required. There will also be a residential course for laymen wishing to learn to serve the Extraordinary Form. The conference will begin late morning on the Tuesday, although there will be the opportunity for those travelling long distances to stay at Buckfast Abbey on the Monday night. The conference will end after lunch on the Friday. There will be sung Mass in the Extraordinary Form each day; parts of the Office will also be sung. The inclusive fee is £85 which covers all tuition, accommodation and board. Application forms for both priests and servers training are available from the LMS office (020 7404 7284) or the LMS website (www.lms.org.uk). LMS Chairman, Doctor Joseph Shaw said: “The LMS’s training conferences are now well-established in the Church’s calendar of activities. We have already trained over a hundred priests and many more Extraordinary Form Masses are being offered around the country due to our training activities”. In a visit to the communities and faithful residing within the Parish of Blessed John XXIII, the Bishop of Nice, Louis Sankalé, visited the local house of the Priestly Fraternity of Saint Pius X (FSSPX / SSPX); where he was "cordially" received by Father Charles Moulin. Final chapter in Thiberville affair? You have a right to the truth, that is, to objective information! Regarding the situation of Thiberville, the Supreme Tribunal of the Apostolic Signatura has rendered its judgement. Rome confirms the decrees issued by the Bishop of Évreux concerning the status of the previous inter-parish group of Thiberville of which Father Francis MICHEL was the parish priest. Following the rejections of three appeals filed in Rome by Father Francis MICHEL, I have repeated to him my invitation to leave Thiberville for the exercise of his ministry. Let us pray together for Father Francis MICHEL. With the addition of this Mass-site, Metropolitan Manila (246.5 sq.m, 638.55 sq.km) now has four locations where the TLM is publicly celebrated on a daily basis. Of these four, three are under diocesan auspices (one each in the Dioceses of Novaliches, Cubao and Paranaque) plus the SSPX priory in New Manila (in the territory of the Diocese of Cubao). Faith in the presence of the Lord, and in particular in his Eucharistic presence, is expressed in an exemplary manner by the priest when he genuflects with profound reverence during the Holy Mass or before the Eucharist. In the post-conciliar liturgy, these acts of devotion have been reduced to a minimum in the name of sobriety. 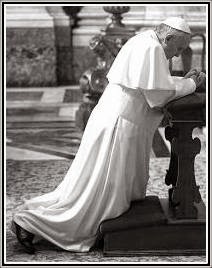 The result is that genuflections have become a rarity, or a superficial gesture. We have become stingy with our gestures of reverence before the Lord, even though we often praise Jews and Muslims for their fervor and manner way of praying. The rest of the article is a short but excellent guide for priests on how to celebrate the Novus Ordo with the greatest possible reverence. A Question for our Readers: TLM's @ March for Life in Washington D.C. I would like to ask the readers of this blog to list down, in the combox, the various Traditional Latin Masses that will be said in Washington D.C. (especially in the Basilica, the Cathedral, or anywhere near the Mall) on the morning of January 24, Monday. Let us help those who are going to the March for Life and would like to attend a TLM. (UPDATE January 23, 2011 10:28 A.M.: As DICI itself indicates, certain passages from the original letter have been removed from this translation. I have now included translations of the missing passages in blue, with the complete Italian text as my reference. I have also adjusted the division of the text into paragraphs to bring the translation nearer to the original. We are some Catholics who are extremely grateful for the work that you are performing as Pastor of the universal Church in recent years. We are grateful for your great assessment of human reason, for having given us the Motu proprio "Summorum pontificum", for your profitable relationship with those Anglicans who are returning to unity and for many other things as well. We take the liberty of writing you after having learned, precisely during the massacre of the Coptic Christians (Ed. in Egypt, December 31, 2010), your intention of convening in Assisi, in October, a large inter-religious assembly, 25 years after “Assisi 1986”. We all remember this event that took place so long ago. An event like few others in the media, that, independently of the intentions and declarations of he (those) who convened it, had an undeniable repercussion, relaunching in the Catholic world indifference and religious relativism. UCAN has published the text of a pastoral letter published on January 20, 2011 by Msgr. Osamu Mizobe SDB, Bishop of Takamatsu, Japan, in which he declares that the activities of the NCW will remain suspended in his diocese. Said diocese is the smallest in Japan (with 5,000 faithful) as well as the home of the NCW's Japanese seminary. In his letter, Msgr. Mizobe supplies some interesting details of the talks between the Curia and the Japanese bishops regarding the NCW, and asserts that pending the arrival of a special envoy from the Vatican (the second since 2003), the Holy See has agreed to allow the individual bishops to act towards the NCW as they see fit. He also refers to the following actions taken by various bishops towards the NCW in the years past: the suspension of the NCW in the Diocese of Clifton (in 1997), the letter written to the NCW by the Catholic bishops of the Holy Land in 2007, and last year's imposition of a moratorium (not just an inspection, as Msgr. 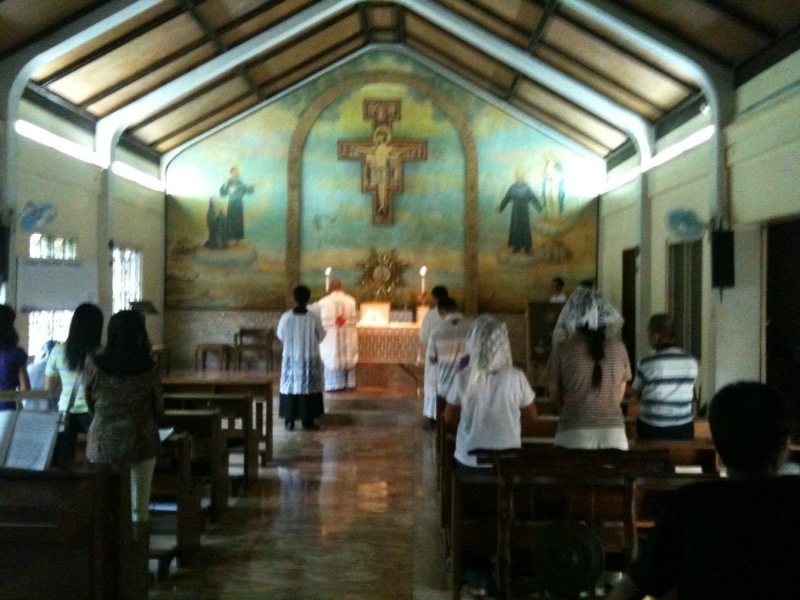 Mizobe says) on NCW catechesis in the Archdiocese of Lingayen-Dagupan in the Philippines. Rorate posted on December 20 that Bishop Athanasius Schneider had called for a new Syllabus, one that would condemn the misinterpretations of Vatican II. He made this call during his address for a conference entitled “The Second Vatican Ecumenical Council: a pastoral council. Historical-philosophical-theological analysis", held at the Istituto Maria SS. Bambina in Rome from December 16 to18, 2010, and organized by the Theological Seminary “Immacolata Mediatrice” of the Franciscans of the Immaculate. Sandro Magister, in addition to posting the full Italian text of the address on Chiesa News, also provided a partial English translation on January 14, 2011. Interestingly enough, it begins with the following: The primacy of the worship of God as the basis of all true pastoral theology. H/t Diane M. Korzeniewski, OCDS of Te Deum Laudamus and Dominus Est. Ordinariate for Australia to include Japan? Bishop Entwistle’s vision for the Western District of the ordinariate will include weekly Masses at his Maylands base of Saints Ninian and Chad Church and monthly Masses in areas outside Perth including Albany and Bunbury. Anglican Catholics in these areas will attend ‘regular’ Catholic Masses between these monthly Masses until more priests are ordained to service these areas. Japan’s Anglican Catholics constitute a small group led by a retired Anglican Bishop. Bishop Entwistle said the Japanese are happy to adopt a Western Ordinariate like Australia as they are among a persecuted minority. However, he said that the “one size fits all” concept does not apply to Ordinariates around the world. Below, please find the sixteenth posting of enrolled souls of the Rorate Caeli Purgatorial Society. The Catholic National Association of Laity (CNAL) in Sri Lanka has backed calls for people of all faiths to dress modestly in places of worship. CNAL is worried about the wearing of increasingly revealing clothing during church feasts, weddings and Sunday Masses. Sri Lankan authorities have already ordered the pulling down of billboards featuring women showing extra cleavage or exposing thighs to advertise products or services. The call by CNAL comes as part of a drive to have churchgoers dress appropriately during religious ceremonies. Many Catholics have complained that churchgoers in Colombo turn up for services in short skirts, halter tops, low cut blouses and shorts. The Sri Lankan government has set up a panel of different faiths to prepare a dress code for places of worship. 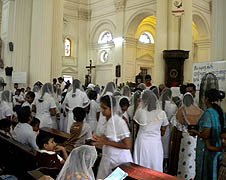 The article is accompanied by a picture (see above) indicating that in the Cathedral of Colombo, Sri Lanka, women are now required to use the veil during Mass. A Pontifical Mass will be celebrated by Archbishop André-Joseph Leonard, Primate of Belgium. The Mass will take place on the 30th of January at 6:30 p.m. at the Church of Minimes (Minimenstraat 62, 1000 Brussels). In November, he erected in this church a new FSSP mission in Brussels. This will be a unique occasion in Belgium as it will be the first Tridentine Mass celebrated by a Primate of Belgium over 40 years. Keep in mind that Pope Benedict had asked for feedback about the implementation of Summorum Pontificum after three years. Three years went by. There has been sufficient time for feedback. It’s time for the instruction. It is my understanding that the Instruction is on its way, that it has been, if I am right, approved by His Holiness, and will be issued in the first days of March. That implies a signature date of 22 February, the Feast of the Chair of St. Peter. Documents are often signed on a significant date, but released later. He was a child prodigy, having composed his first Mass at age 12; his best known Mass is the "Misa Jubilei," written in the Holy Year 1950. A friendly reminder that the 16th weekly posting of souls enrolled in the Rorate Caeli Purgatorial Society will go live Thursday. Please send in your souls to be enrolled today. Rorate Caeli reported last month on the intervention of the PCED in the Archdiocese of Zagreb, Croatia. 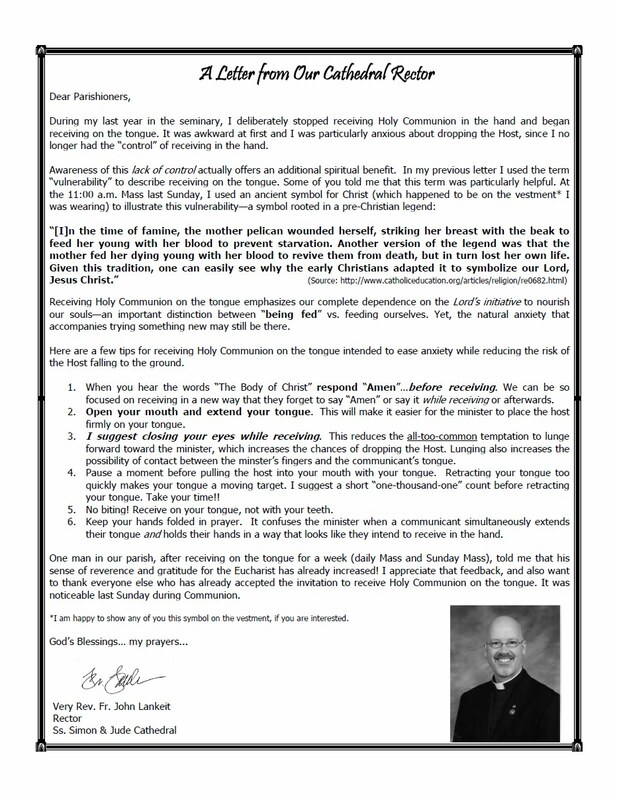 In a letter dated November 25, 2010, Msgr. Guido Pozzo told the coetus of Traditional Catholic faithful in Zagreb that Cardinal Bozanic had promised to ensure the celebration of the TLM in one of the churches of his Archdiocese. I inform you that the Archbishop of Zagreb, His Eminence Cardinal Josip Bozanić, accepting your petitions, has appointed the Reverend Monsignor dr. Stanislav Vitković, prebendary, to take care of and be at disposal in the Archdiocese of Zagreb for the celebration of the Holy Mass according to the Roman Missal, published in 1962, in accordance with the regulations of the Motu Proprio Summorum Pontificum of Pope Benedict XVI. 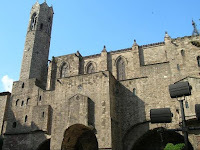 At the same time, it has been decided that he will begin this service on 20 February 2011. Church of St. Martin in Zagreb (Vlaška street, 36) is made available for the use in the above mentioned celebrations of Mass. Holy Mass according to the Missal of Bl. John XXIII will be celebrated there every Sunday and Holy Day of Obligation at 11:30 am. I ask you, therefore, to refer all further questions related to the celebrations of the Holy Mass according to the Roman Missal from 1962 to the address of Archdiocesan Chancery in Zagreb. In addition, Rorate has been informed that a society dedicated to promoting the TLM was founded in Zagreb on Saturday, January 15, 2011. The society, called Benedictus, had 18 founding members. 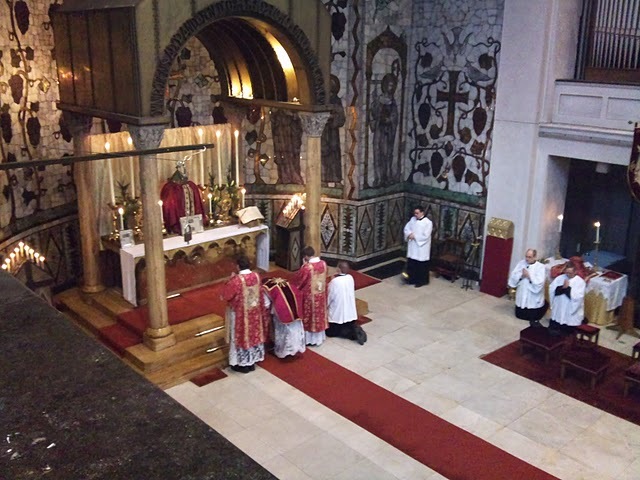 H/t to our reader Marcus M.
Una Voce Malaga reports on its blog (which is now in the Rorate blogroll) that on January 15, 2011, Manuel Urena Pastor, Archbishop of Zaragoza (or Saragossa) in Spain, offered a Solemn Requiem Mass according to the 1962 Missal in the Parish Church of Santa Maria la Mayor, Epila, Zaragoza. This is the first Mass according to the 1962 Missal to be said by a canonically-regular Catholic bishop in Spain itself, since the promulgation of Summorum Pontificum. 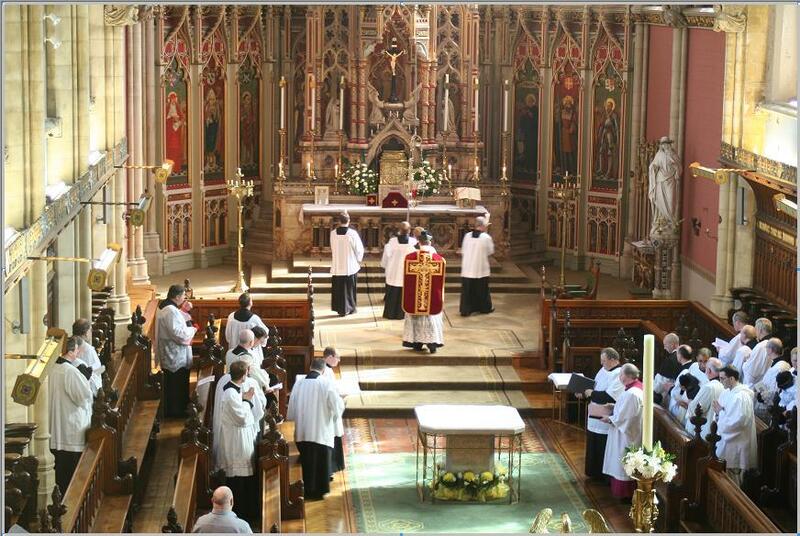 Judging from the pictures, the Archbishop offered the Solemn Requiem Mass in the manner of a priest. On July 2010, the same Archbishop had presided over the reburial of the remains of the family of the Count of Aranda, giving him the distinction of being the first bishop in Spain to preside post-Summorum over a ceremony done according to the pre-Vatican II liturgical books. A few other Spanish prelates had offered or assisted at Masses according to the 1962 Missal after the promulgation of Summorum Pontificum, but none of these were in Spain itself. Benedict XVI: Neocatechumenal Way is "a particular gift aroused by the Holy Spirit"
Emphases mine. By the way, I don't think any bishop will dare ban the NCW from his diocese after this speech. CAP. 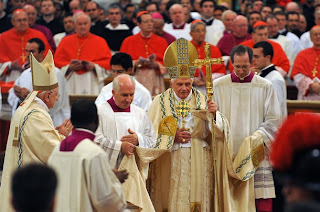 "Feel Beside You the Living Presence of the Risen Lord"
VATICAN CITY, JAN. 17, 2011 (Zenit.org).- Here is a translation of the address Benedict XVI delivered today in Italian upon receiving in audience members of the Neocatechumenal Way. I am happy to receive you and to give you my cordial welcome. I greet in particular Kiko Arguello and Carmen Hernández, initiators of the Neocatechumenal Way, and Father Mario Pezzi, thanking them for their words of greeting and presentation which they addressed to me. With heartfelt affection I greet all of you here present: priests, seminarians, families and members of the Way. I thank the Lord because he gives us the opportunity of this meeting, in which you renew your bond with the Successor of Peter, taking up the mandate that the Risen Christ gave to his disciples: "Go into all the world and preach the Gospel to the whole creation" (Mark 16:15). 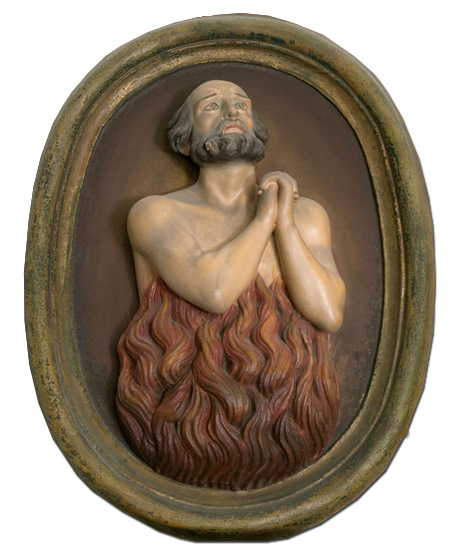 For more than 40 years the Neocatechumenal Way has been contributing to revive and consolidate Christian initiation in the dioceses and parishes, fostering a gradual and radical rediscovery of the riches of baptism, helping to the divine life, the heavenly life that the Lord inaugurated with his Incarnation, coming in our midst, being born as one of us. This gift of God for his Church is placed "at the service of the bishop as one of the ways of the diocesan accomplishment of Christian initiation and of permanent education in the faith" (Statute, art. 1 paragraph 2). Such service, as my predecessor the Servant of God Paul VI reminded you in the first meeting he had with you in 1974, "will be able to renew, in today's Christian community, those effects of maturity and deepening which in the early Church were realized in the period of preparation for Baptism" (Insegnamenti di Paolo VI, XII , 406). Accomplished profitably in the last few years has been the process of writing of the statutes of the Neocatechumenal Way that, after a period of validity "ad experimentum," was approved definitively in June 2008. 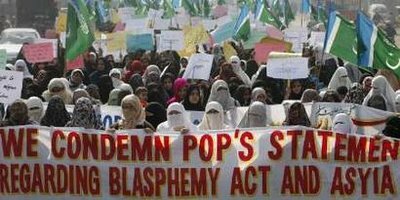 (I've seen some articles in the Internet claiming that the 2008 approval was also granted "ad experimentum", and only until 2015. Looks like that claim is false. CAP) Another significant step carried out in these days, with the approval of the competent dicasteries of the Holy See, is the Catechetical Directory of the Neocatechumenal Way. With these ecclesiastical seals, the Lord confirms today and entrusts to you again this precious instrument that is the Way, so that you can, in filial obedience to the Holy See and to the pastors of the Church, contribute, with new impetus and ardor, to the radical and joyful rediscovery of the gift of baptism and to offer your original contribution to the cause of the New Evangelization. The Church has recognized in the Neocatechumenal Way a particular gift aroused by the Holy Spirit: as such, it tends naturally to insert itself in the great harmony of the ecclesial body. In this light, I exhort you to seek always a profound communion with the pastors and with all the components of the particular Churches and the very different ecclesial contexts in which you are called to operate. The fraternal communion between the disciples of Jesus is, in fact, the first and greatest testimony to the name of Jesus Christ. 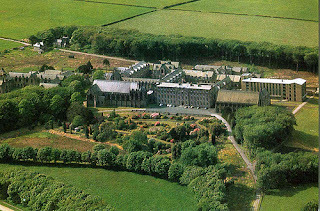 The Trustees of Ushaw College, a 200-year-old Catholic seminary in the north of England standing in over 500 acres, announced on 8th October 2010 that the seminary would close at the end of the academic year (ie June 2011) if a development partner could not be found. Presumably, this meant that they were looking for a business to take over part of the site and relieve the college of some of the running costs of a large complex of buildings. In 1962 there were over 400 students there and priestly ordinations were running at over 20 per year. Now there are just 26 seminarians in total but the closure announcement has dismayed many as no warning was given about this decision. However, it is a magnificent complex set in over 500 acres and a group of lay people is trying to save it. Following a further meeting of the Trustees it was announced on 14th December 2010 that the ancillary businesses, including the hosting of conferences, would cease at the end of December 2010, and that all bookings after this date would be cancelled. By eliminating the conference activities, and the healthy income stream that they generated, the Trustees, who are the bishops of northern England, have struck a severe blow at any possibility of a rescue plan that they were supposedly seeking. It seems that this decision was ill-judged, premature, taken without wide consultation, and without any regard to the financial consequences. It was also dismissive of a sound business proposal that was put forward some weeks ago. Ushaw College has very fine buildings, many designed by distinguished architects including members of the Pugin and Hansom families; St Cuthbert’s Chapel and the library being particularly notable. It also occupies a major place in the cultural, religious and educational heritage of the Catholicism in the north of England. Many are dismayed that its future is being dismissed without consultation and that there seems to be scant regard for those who have supported it during the past 200 years. An on-line petition has been launched and some hard-hitting comments from clergy and previous seminarians give a clear indication why this seminary has failed. It is also known that some bishops will no longer send their young men to study there. If it is saved from closure then it is imperative for its future development that the current culture is changed and orthodoxy and obedience to the Magisterium are restored once again. 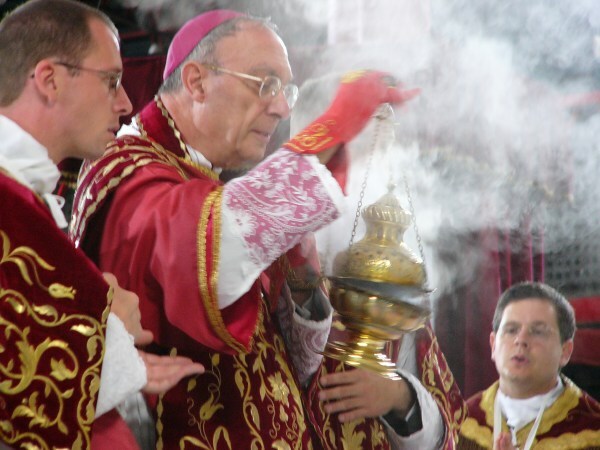 It is only this that will attract young men once again to return, and bishops once again to feel comfortable in sending their young men there for their formation. Old news by now, but worth discussing. The author of the following article is Fr. Michael Magiera. Ordained a priest for the FSSP in 2005, he is currently a priest of the archdiocese of Indianapolis (on probation, pending full incardination) and Associate Pastor of Our Lady of the Most Holy Rosary Church. 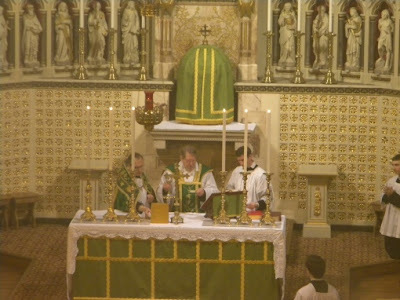 The Extraordinary Form of the Roman Rite of Mass, the Tridentine Mass, the Latin Mass, the “Old” Mass, the TLM (however one wishes to call it) has been celebrated openly in the Archdiocese of Indianapolis for many years. The first one took place in 1988. It started out, as many do, on an “occasional” basis, every other month, and then gradually increased in frequency. These Masses were celebrated by good, holy, gracious and generous priests. They were “older” and somewhat out of practice, but the Masses they celebrated were a beginning of something which would prove nothing less than wonderful for the Archdiocese of Indianapolis. Both “Low” Masses and, occasionally, Sung Masses (with all appropriate ceremonies) were celebrated. At first, Mass was celebrated in St. John the Evangelist Church, the “Pro Cathedral” of the Archdiocese. It then moved to St. Patrick Church where weekly attendance was about 130, and then ended up – on a permanent basis – at Our Lady Queen of the Most Holy Rosary. It has been at Holy Rosary for the past 13 years. During the St. Patrick “period,” it became an “apostolate” of the Priestly Fraternity of St. Peter (FSSP). 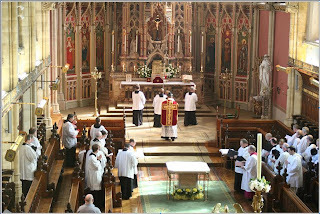 Henceforth, TLM = EF; Novus Ordo or “English” Mass, the Ordinary Form = OF. 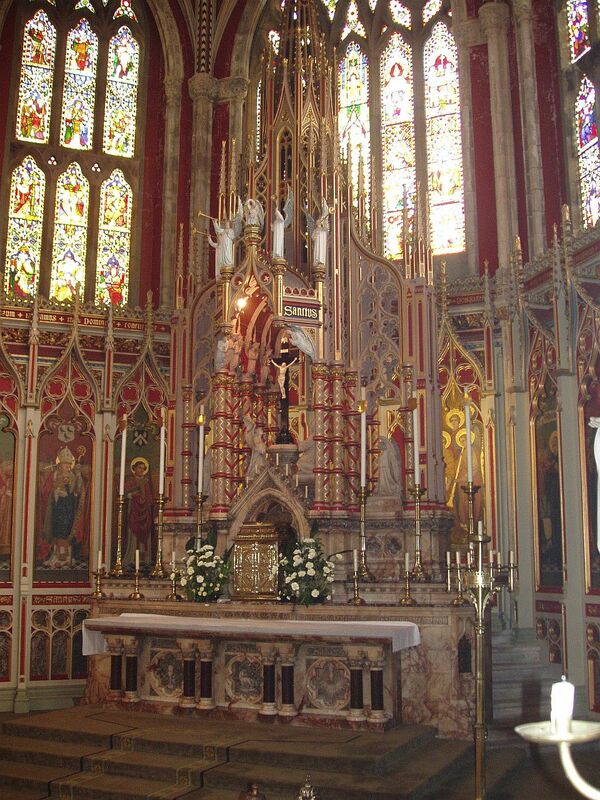 In 2005, another church was designated as an FSSP “Latin Mass Apostolate.” It is Ss. Philomena and Cecilia in Brookville, IN, also in the Archdiocese. This apostolate was established IN ADDITION to the apostolate at Holy Rosary in Indianapolis proper. Traveling distance between the two churches is approximately 1.5 hours. NB., at Ss. Philomena and Cecilia, it is the EF exclusively that is celebrated there. At Holy Rosary, it is celebrated along with the OF. But at Holy Rosary, there are more EFs than OFs, eight as opposed to four. The number of EFs was higher by two at one time, but so the “EF priest” could have (most of) a day off, the Monday noon EF was replaced by Mass in the OF. After a time, it was decided to have the OF in place of the EF at noon on Fridays as well. Also, on major Holy Days, there are additional Sung EFs at 7:00 PM. Except for Christmas and Holy Week, apart from very rare occasions, there are no additional, evening OF Masses. Of course, for Christmas and for Holy Week, there is the full battery of Masses and services for each form. A sign of things to come for the Ordinariate? ﻿Fr. Andrew Burnham celebrating his first Mass (Novus Ordo). Take note of the Assistant Priest in Cope. The Ordinariate Portal blog has more pictures of (and stories about) the First Mass. ... at least get the spelling of "Pope" right! The original article on the New Theological Movement refers to an article by Msgr. Charles Pope of the Archdioc﻿ese of Washington. The article, posted (interestingly enough) on the official blog of the Archdiocese of Washington, is On Time Warps and Missing Feasts: Puzzling over the Confusion in the Christmas Cycle. We are glad to now link to the Ordinariate Portal, a blog with all news of the Ordinariate of Our Lady of Walsingham. Several other new blogs have also been added to our blogroll (right column). Against the backdrop of a highly-public brawl with the Japanese bishops -- who tried to ban them from the country but were overruled by the Holy See in recent weeks -- in another rare coup, the Neocatechumenal Way is set to hold a prominent Vatican celebration led by the Pope himself. Shown above flanking B16 at a recent private audience, the "initiators" of the oft-controversial million-member movement -- Kiko Arguello, Carmen Hernandez and Italian Fr Mario Pezzi -- will lead a Monday crowd of Neocats gathered in the Paul VI Audience Hall as, continuing a tradition begun by the soon to be Blessed John Paul II, the pontiff commissions 230 new missionary families for the Way before they're sent to some 46 countries. The audience will also commemorate the CDF's recent approval of a Catechetical Directory for the movement, which is intended to provide "security for [the Way's] implementation... offering also [a] doctrinal guarantee" of its purity in teaching "to all the shepherds of the church." Now present in 105 countries, the Way's governing statutes were given final approval by Rome in 2008. Beyond its lay mission-work, the movement boasts over 70 Redemptorist Mater seminaries worldwide, five of them in the US. Viewed by its critics as a "sect" (or even a "cult") for its tendency to form a "totally separate" life from the local churches in which it exists -- not to mention its unconventional liturgies and highly-regimented subgroups (where placement is contingent on one's advancement in the Way's methods) -- the group's most prominent clash with a local hierarchy has come over the last several years in Japan, where a former president of the nation's bishops once slammed the Spanish-born movement's presence there for, he said, having "caused sharp, painful division and strife within the church." After the Japanese prelates first voiced their concerns over the Way's m.o., in 2006 Rome approved the closing of the country's Redemptorist Mater seminary. More recently, when the bishops pushed for a full ban of the Way for five years, they were publicly rebuffed by a message from the Secretariat of State, which instead called for a dialogue to begin immediately, mediated by a delegate yet to be named. In response, a leading Japanese prelate said this week that "in those places touched by the Neocatechumenal Way, there has been rampant confusion, conflict, division, and chaos" and that the bishops "could not ignore the damage." At a 2006 commissioning of Neocat families, the Pope lauded the Spanish-born movement for birthing "a true 'springtime of hope' for the diocesan community of Rome and for the universal church." However, the same text likewise gave voice to the criticism of the movement. "Your apostolic action, already very praiseworthy, will be all the more effective to the extent that you strive to constantly cultivate that yearning for unity which Jesus communicated to the Twelve during the Last Supper," Benedict said. "Before the Passion our Redeemer prayed intensely that his disciples all would be one so that the world would be impelled to believe in him, because this unity can come only by the power of God. It is this unity, a gift of the Holy Spirit and a ceaseless quest of believers, which makes each community a living structure that is well integrated into the Mystical Body of Christ. "The unity of the Lord's disciples," Benedict said, "is part of the very essence of the church and is an indispensable condition for its evangelizing action to be both fruitful and credible." Even for the tough-talk, however, it bears noting that only one other "new movement" has received a similar outpouring of public en masse Pope-Time: Benedict's beloved Comunione e Liberazione -- whose founder he famously eulogized, and whose weekly "School of Community" is held in the papal apartment. Following Monday's event, the founders will hold a press conference. From there, Arguello is expected to lead a catechesis for 200,000 young adults during August's World Youth Day in Madrid. 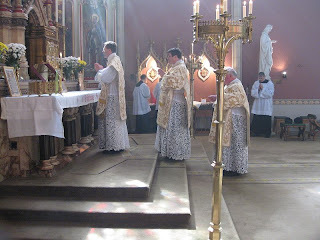 As expected, under the provisions of the Apostolic Constitution Anglicanorum coetibus, the Holy Father today erected the first Personal Ordinariate for Anglicans entering the Catholic Church, the Ordinariate of Our Lady of Walsingham, under the patronage of Blessed John Henry Newman, with Father Keith Newton appointed as the ordinary. As a married priest, he will not be ordained a bishop. "In accordance with the provisions of the Apostolic Constitution 'Anglicanorum coetibus' of Pope Benedict XVI (4 November 2009) and after careful consultation with the Catholic Bishops Conference of England and Wales, the Congregation for the Doctrine of the Faith has today erected a Personal Ordinariate within the territory of England and Wales for those groups of Anglican clergy and faithful who have expressed their desire to enter into full visible communion with the Catholic Church", reads an English-language communique released today. "The Decree of Erection specifies that the Ordinariate will be known as the Personal Ordinariate of Our Lady of Walsingham and will be placed under the patronage of Blessed John Henry Newman. "A Personal Ordinariate is a canonical structure that provides for corporate reunion in such a way that allows former Anglicans to enter full communion with the Catholic Church while preserving elements of their distinctive Anglican patrimony. With this structure, the Apostolic Constitution 'Anglicanorum coetibus' seeks to balance on the one hand the concern to preserve the worthy Anglican liturgical, spiritual and pastoral traditions and, on the other hand, the concern that these groups and their clergy will be fully integrated into the Catholic Church. "For doctrinal reasons the Church does not, in any circumstances, allow the ordination of married men as bishops. However, the Apostolic Constitution does provide, under certain conditions, for the ordination as Catholic priests of former Anglican married clergy. Today at Westminster Cathedral in London, Archbishop Vincent Nichols of Westminster, ordained to the Catholic priesthood three former Anglican bishops: Reverend Andrew Burnham, Reverend Keith Newton, and Reverend John Broadhurst. "Also today Pope Benedict XVI has nominated Reverend Keith Newton as the first Ordinary of the Personal Ordinariate of Our Lady of Walsingham. Together with Reverend Burnham and Reverend Broadhurst, Reverend Newton will oversee the catechetical preparation of the first groups of Anglicans in England and Wales who will be received into the Catholic Church together with their pastors at Easter, and will accompany the clergy preparing for ordination to the Catholic priesthood around Pentecost. "The provision of this new structure is consistent with the commitment to ecumenical dialogue, which continues to be a priority for the Catholic Church. The initiative leading to the publication of the Apostolic Constitution and the erection of this Personal Ordinariate came from a number of different groups of Anglicans who have declared that they share the common Catholic faith as it is expressed in the Catechism of the Catholic Church and accept the Petrine ministry as something Christ willed for the Church. For them, the time has now come to express this implicit unity in the visible form of full communion". 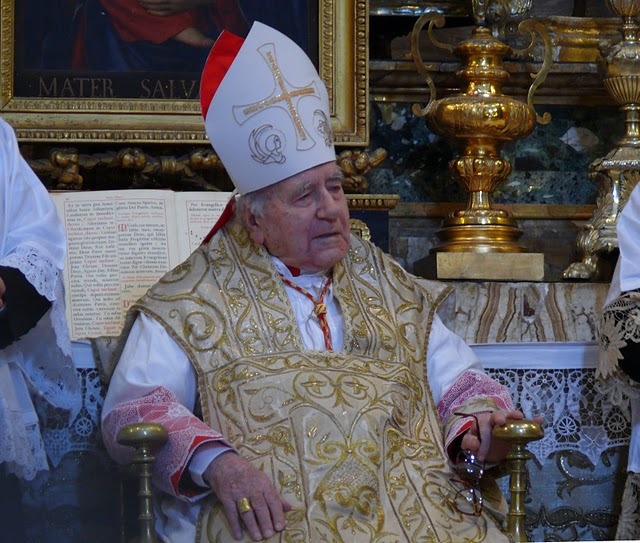 Messa in Latino is reporting that on February 6 of this year, at 3:30 P.M., His Eminence Walter Cardinal Brandmuller, the former President of the Pontifical Committee for Historical Sciences, will offer a Solemn Pontifical Mass. This Mass will be offered at the Shrine-Parish of the "Beata Vergine Addolorata" (which is administered by the Franciscan Friars of the Immaculate) in Campocavallo in Osimo (Archdiocese of Ancona). For the victims of natural disasters, including the hundreds of victims of the floods in the state of Rio de Janeiro, Brazil (in the mountainous areas between Campos and Rio). 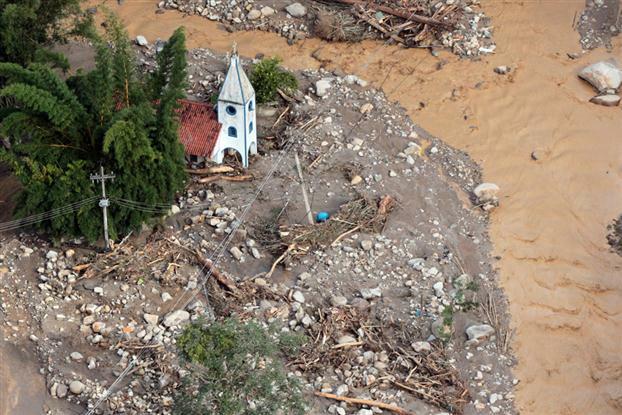 And also for the dozens of victims of the floods in Queensland. Below, please find the fifteenth posting of enrolled souls of the Rorate Caeli Purgatorial Society. "The Pancetta family, Rome, Italy". Individual names are preferred. Be greedy -- send in as many as you wish and forward this posting to friends as well. PLEASE follow this format strictly, as any deviation creates a lot of extra work -- and there's been a great deal of deviation lately.